The Bunnyrabbit Program (5 years) is directed at children in the ‘Active Start’ stage of the Long-Term Athlete Development Model. This is the first level of the program. The objective is to introduce cross-country skiing and a healthy lifestyle associated with organized activity and active play. The program is designed to develop fundamental movement skills (with a focus on balance and agility), coordination, self confidence, imagination and social skills. It encourages children to be active and helps them develop an awareness and appreciation of our natural environment. Coaches are trained to meet the needs of children at this stage of development by taking the Intro to Community Coaching NCCP workshop. The Jackrabbit Program (6-9 years) is directed at children in the ‘FUNdamentals’ stage of the Long-Term Athlete Development Model. This is the second level of the program. The objective is for children to learn basic cross-country ski skills (classic in Levels 1 & 2 and skating is introduced in levels 3 & 4) and to instill a lifelong interest in the sport, thereby enhancing their quality of life and health. The program is designed to develop fundamental movement skills, build overall motor skills, confidence and social skills, and encourage fun and participation. Low-key competitions are introduced, as are inter-club social, skill and fitness oriented ski activities (e.g. on-snow ski camps). Coaches are trained to meet the needs of athletes at this stage of development by taking the Community Coaching NCCP workshop. The Track Attack Program is designed for skiers who are between the ages of 10 and 12 on average and who are in the “Learning to Train” stage of the Long-Term Athlete Development Model. The focus of the Track Attack program is to help participants become technically competent cross country skiers and use their skills to explore a wide range of ski activities. Track Attack program goals: Fitness! Fun! Teamwork! Improve cross country ski technique; and enjoy many fun off trail ski activities; learn how to wax skis, race with confidence, and learn about wilderness safety. Coaches are trained to meet the needs of athletes at this stage of development by taking the Competition Introduction NCCP Workshop. NEW FOR 2018 is the Track Attack & Toonie Program which is designed for the Track Attack skier who would also like to participate in the Toonie Series. The focus of the Track Attack & Toonie program will be to help participants become technically competent cross country skiers and use their skills to explore a wide range of ski activities. 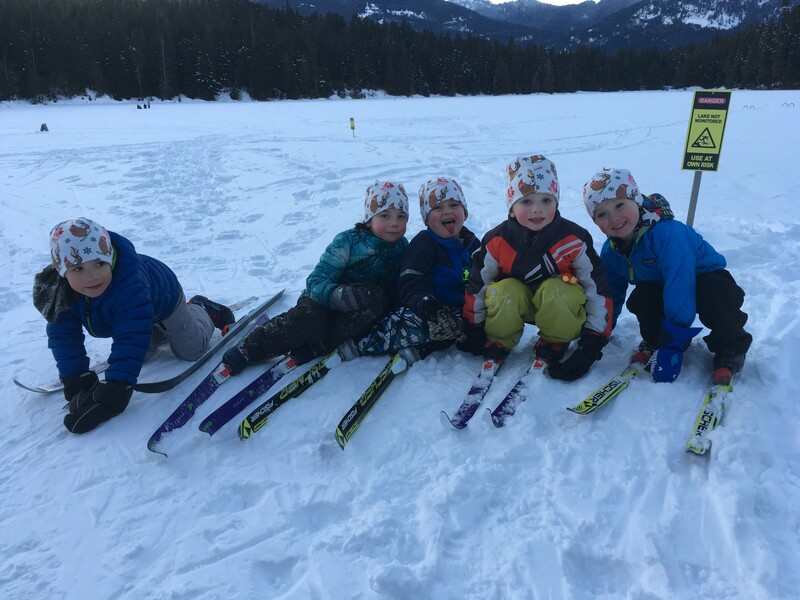 Biathlon Bears is an introductory biathlon program for ages 8-12 offered by our sister club Sea to Sky Nordics. Combining a morning Jackrabbits or Track Attack ski lesson with an afternoon shooting lesson, this program teaches the basic skills of biathlon in a safe and fun environment. The overall aim is to build confidence with skiing and shooting skills and provide a fun introduction to fitness-for-life. No shooting experience is required for our Biathlon Bears program. Rifles and ammunition will be provided for the biathlon sessions. Teen Biathlon program offered by our sister club Sea to Sky Nordics is for youth ages 13-18 with previous nordic experience who are interested in a cross country skiing or biathlon program for fun, fitness and friendship. The goal of this program is to develop skills and build friendships to make skiing a sport for life. No prior shooting experience is required for this program. Rifles and ammunition will be provided for the biathlon sessions. Development Team (13 – 18 years) is directed at youth in the ‘Train to Train’ and ‘Learn to Compete’ stages of the Long-Term Athlete Development Model. Our Development Team is a race program for experienced and competitive skiers who are passionate about Cross Country Skiing and consider the sport to be their main sport activity. Development Team athletes are experienced competitors who want to improve their skills to a high level, and are interested in competing in multiple cross country and/or biathlon events throughout the year. The program provides opportunities for the continual improvement of technical skills and physical capacities of individual athletes by addressing all aspects of athlete development in the following areas: technical, physical, social, psychological, growth, and emotional. See the Development Team page for more details.